OTTAWA - The Conservative government says it's prepared to allow as many witnesses as the opposition parties want in committee hearings on electoral reform — but by no means will those hearings be held outside Ottawa. At issue is a sweeping, 200-plus page bill that overhauls the way federal elections will be conducted in Canada that's being pushed quickly through Parliament by the Harper government. That has the opposition parties fuming over what they see as an orchestrated government effort to keep most voting Canadians in the dark about changes to the rules of the game. "We're talking about the rules for a federal general election," NDP Leader Tom Mulcair thundered during the daily question period Monday. "That's the foundation of our democracy. That's what they're trying to cheat on." Mulcair was admonished by Speaker Andrew Scheer for his language but immediately repeated the allegation. "I can affirm that we all know they're trying to cheat in advance," Mulcair shouted. But Conservative MPs during a day-long debate maintained the rule changes are fair to all and that they're prepared for full public hearings at committee on the legislation, dubbed the Fair Elections Act. The government used its majority to cut short initial debate on the bill in order to send it to a Conservative-dominated committee. The NDP has responded with procedural tactics to stop other parliamentary committees from travelling, while introducing a voteable motion Monday to send the procedure and House affairs committee on the road with the elections bill until May 1. NDP deputy leader David Christopherson says the government is resisting the idea because it wants to make the fight over election rules just another "battle in the bubble" that Canadians can easily tune out. Not so, said Conservative MP Tom Lukiwski. He said up to 12 or 13 meetings could be held in Ottawa on the bill, and that the meetings could be extended beyond their usual two-hour duration. "Our government has stated if you want to put forward a list of witnesses, our government is not going to oppose it," he said. "We want to hear from people." Lukiwski is the ranking Conservative on the committee and also parliamentary secretary to Pierre Poilievre, Harper's minister for democratic reform who introduced the bill. Lukiwski had previously referred to the idea of travelling hearings as a "gong show," but he struck a more respectful tone Monday. "We can arrange for anyone who wants to provide testimony to be here," he said. He also urged all MPs to listen to the concerns of their constituents and bring those concerns to Ottawa. "So Mr. Speaker, there's no argument that I've heard from members opposite that would change my mind on whether or not there is a need for cross-country consultations," he concluded. "We can do the job here." Lukiwski also thanked Poilievre for "a bill that addresses a lot of the problems we have had in this country with things like fraudulent voting, with big money influencing elections, and putting provisions in the bill to prevent those things from happening." In fact, many of the concerns over the last three federal elections revolved around allegations of over-spending the strict limits imposed by the Elections Act, and of voter suppression tactics. As Elizabeth May, the Green party leader, put it during Monday's House debate, "We do not have any evidence that Canadians are voting more than once ... Our problem is they're voting less than once." May joined New Democrats and Liberals in arguing that citizens deserve a say on how elections are conducted and should be able to make their opinions known in their home regions. The major overhaul of elections rules was drafted without the usual opposition consultations or formal input from Elections Canada, the watchdog that oversees election fairness. The bill was scheduled to be introduced in Parliament last April but was pulled at the last minute after Conservative MPs privately objected to some of the proposed provisions. The bill finally tabled Feb. 4 effectively splits Elections Canada in two by putting its investigative powers in a separate office. While placing new restrictions on automated robocalls during campaigns, the bill does not give Elections Canada the added investigative powers it was seeking to get to the bottom of the widespread fraudulent phone campaign of the 2011 election. It also restricts the chief electoral officer from communicating with Canadians and effectively increases the amount parties will be able to spend during campaigns. 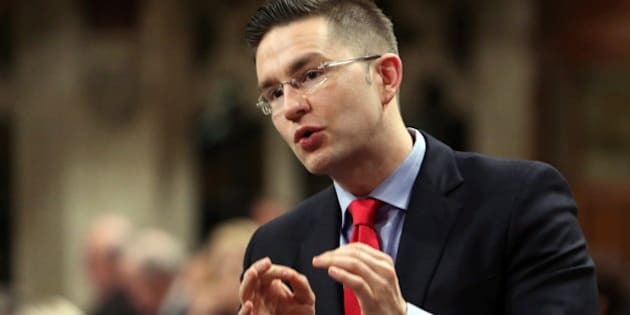 Chief Electoral Officer Marc Mayrand has questioned the proposed changes, fearing they will undermine Elections Canada's efforts to encourage people to vote.